So! The SPARKs Will Fly contest was officially launched at ESC (Embedded Systems Conference) in Boston - a month ago! But what hardware platform to go for? 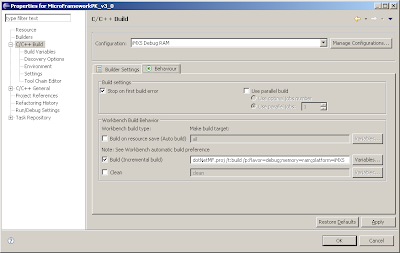 There are five complete kits (containing hardware, Visual Studio 2005 Pro and PlatformBuilder (Windows Embedded CE 6.0 R2 Full Versions) offered. Only restriction on software is: no commercial use! Advantech, VIA, ICop are more PC alike systems on x86 compatible CPUs. VIA Artigo even needs active cooling. The real ultra low powered embedded devices from Special Computing and Keith & Koep run on an ARM core. Keith & Koep's Trizeps4 platform (312MHz and 520MHz version) is hosted by a small and feature rich base board much smaller than Artigo. That's why it is my personal favorite even compared to the small GUMSTIX from Special Computing. Which one's your preferred platform here? This weekend I will obviously start playing around with my Trizeps4/520MHz. Bye... and have a nice weekend! You can create a Platform Builder subproject and move the module (e.g. device driver) that you are trying to debug to the just created subproject. Now all you need to do is to make sure that the “Always build and link as debug” and the “include in Run-Time Image” checkboxes are checked in the subproject settings. Et voilà, if you now build your BSP and subprojects, you will have a hybrid image. if you read Damian’s announcement, you know that I was holding a presentation on the Microsoft Embedded booth at the SPS/IPC/Drives on Windows Embedded CE 6.0 Driver Development: Best Practice. It was really exciting to meet the Microsoft folks, hear all the other interesting presentations and get the latest news on the Microsoft embedded products! Hope you could make it; if not the next chance to meet Microsoft and us in Nuremberg will be @ the Embedded World 2009 March 3rd to March 5th 2009. Thanks again guys! you know that the Windows Embedded Standard 2009 is officially available. You can download a trial version of the product at: http://www.windowsembedded.com/. The product team is excited to hear your feedback and thoughts on the new release. MS is hosting a live chat about Windows Embedded Standard. Only what you have to do, is come in and join the live chat with the Windows Embedded Standard team to talk about this latest release and get your questions answered directly by the experts! Put the date into your schedule and join it! for all agile guys out there who did not manage to get time off and come to Barcelona - here the link to slides about Agile software developement with VS by Stephanie Saad from the Tech Ed. MS is hosting a live chat on, November 25th, regarding Windows Embedded CE and Windows Mobile. Just a short post to let you know Microsoft has just released its Microsoft Auto 3.1 Feature Pack. Together with the Live Services for Devices Toolkit, companies can create new in-car solutions based on Windows Embedded and offer dynamic, connected services. In the near future we will post some more news around this feature pack - so stick around. 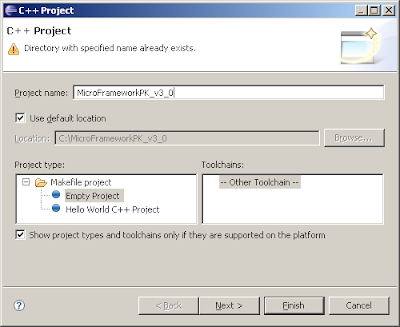 .NET Micro Framework Porting Kit 3.0 - Where to get it. Ok, as I have been asked more than just once, here is a short update on where to get the Porting Kit from. As you will have noticed, the link on the .NET Micro Framework site has not yet been activated. If you're living in europe the porting kit will be offered from December onwards at the UK store. I attended a very very interesting session at TechEd held by the unforgetable, unbeliveable Douglas Boling - If you have not been to one of his talks then that is something you have to put on your ToDo list. The session had the following title: "Windows Embedded CE Application Development", but was actaully about performance. So, what kind of performance did we talk about? I will try to give you a short summary. Embedded devices are not so powerful as PCs and there are many constraints: memory, processor speed, power issues etc. 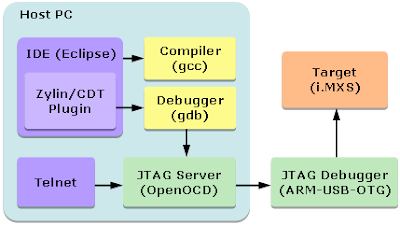 Because of this the developers/tools and applications have to meet some requirements specific to embedded devices. With Win32 API you will write the "fastest" and most "compact" code, but it requires some advanced programming skills from the developers. The code may be fast, but development and time to market will not! And notice: the realtime(able) code can be only written with Win32 API. 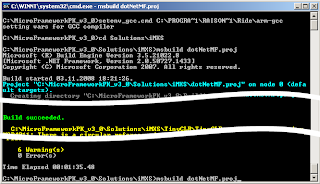 Now let's talk about the usage of MFC for Windows Embedded application development: Sorry, but there is nothing to say. In Doug Boling's opinion, it's a "dead technology" which shouldn't be used anymore - and I agree with him. the tool support is much better than with Win32. 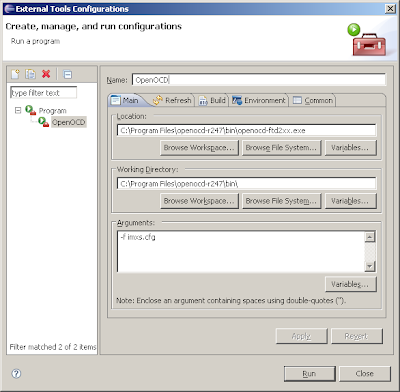 .NET Compact Framework apps run on desktops! But .NET applications are not realtime applications! Just think of the carbage collection - always think of dispose. So, what to do, when you have to develop a Windows Embedded application and don't know what to choose? Put your high-level requirements (time to market, which device you will use etc.) together and make a kind of trade-off decision: device performance vs. developer performance. You can't have both! Q: What is the difference between a Desktop Software Engineer and an Embedded Software Engineer? A: The Desktop Software Engineer gets paid to write code fast; The Embedded Software Engineer gets paid to write fast code. You may be aware that next week the Exhibition Center Nürnberg will be home to SPS/IPC/Drives - the exhibition for electric automation technology. During this event Jochen will be holding a 20min presentation @ the Microsoft booth about "Device Driver Development - Best Practices". So if you are visiting this event and would like to learn best practices around driver development as well as talk to Jochen about Windows CE, come to the Microsoft Booth at 10:30 on any of the three days - Hall 7A Booth 645. Of course you can come and talk to the Microsoft folks as well! This is simple you might think as it is specified in the Order value of the drivers registry setting ([HKLM\Drivers\BuiltIn\<DriverName>]). But what happens if either the Order value is not specified or if there are multiple drivers with the same Order value? If the Order value is not specified the driver will load last, meaning it would be as if you would have specified the Order value to be 255 (FF). If, however there are multiple drivers with the same Order value, then they will load bottom-up as specified in the reginit.ini file in the _FLATRELEASEDIR which is the registry of your device. For all of you who weren't able to come to Barcelona - you're missing out on a good event - and for those of you who are here I've quickly collected some impressions of the last couple of days. For the embedded developers visiting TechEd, the Embedded Zone is the place to be. Not only to talk with the partners from Germany and the UK, but also to have the chance to grab someone from Microsoft or to listen to one of the presentations in the Embedded theatre - remember mine? What started out to be a 20min presentation turned into a 2hr interactive session with some great disscussions - Thank-you! Then there was the Windows Embedded Community Party which turned out to be a great success - If you look closely or click on the picture you will see Harald mingling with the crowd. And as you can see there was plenty to celebrate and yes everbody did miss Mike - especially Olivier. And as far as I am concerned I can only approve with the results of the baked beans contest. Anyway, we are having a great time and big thank-you to the WEPP team. 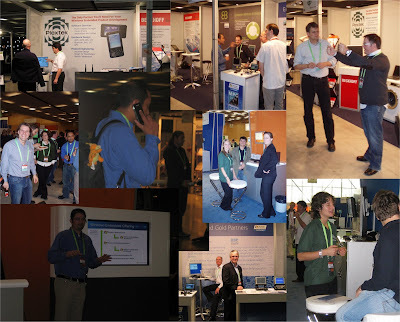 the TechEd in Barcelona is still going on, but I have the newest updates for you. The latest Windows CE updates have been recently released and are available for download. Download this set of updates for Windows CE 5.0 Platform Builder released during the period of October 1 - October 31, 2008. 081010_KB957881 - EAP-PEAP may fail if AP resends EAP-PEAP user credential request with incremented ID. 081013_KB958185 - Insufficient size of DNS Transaction ID may allow Delegation Spoofing. 081014_KB957620 - This update enables SIO_LIMIT_BROADCASTS socket ioctl. 081010_KB957922 - This update addresses small memory leak that may occur when playing MMS stream from Windows Media Server 2003. 081007_KB957946 - If the number of free clusters runs out during the file data cloning, then the file data can potentially get corrupted. 081022_KB958806 - The ReadFile path assumes there is at least one byte to read and does not check for zero bytes. 081028_KB958403 - SD cards without a partition table may not be mounted. Download this set of updates for Windows CE 6.0 Platform Builder released during the period of October 1 - October 31, 2008. 081013_KB958183 - Insufficient size of DNS Transaction ID may allow Delegation Spoofing. 081028_KB958342 - This update disables the generation of Magic Number configuration requests, so no magic number will be configured and the Echo Requests sent with Magic Number 0 will be acceptable. 081029_KB958452 - This update addresses small memory leak that may occur when playing MMS or MBS stream from Windows Media Server 2003. 081020_KB958780 - USB driver may issue RESET when port is not connected. 081020_KB955238 - This update makes registry configuration for unimodem DCCRequest and DCCResponse command strings configurable. 081013_KB958341 - USB Host Controller Driver for the EHCI host controller assumed that any device connected to its root port was high speed. This caused some low speed devices to not work. Due to the architecture change of Windows Embedded CE 6.0, Kernel IO Control call go through a kernel mode component called oalioctl.dll. The source code for this component can be found at %_WINCEROOT%\PUBLIC\COMMON\OAK\OALIOCTL. By default, it has a list of 5 user-accessible Kernel IOCTL codes in a switch case statement: IOCTL_HAL_GET_CACHE_INFO, IOCTL_HAL_GET_DEVICE_INFO, IOCTL_HAL_GET_DEVICEID, IOCTL_HAL_GET_UUID and IOCTL_PROCESSOR_INFORMATION, even though IOCTL_HAL_GET_DEVICEID and IOCTL_HAL_GET_UUID are deprecated and there functionality can now be accessed via new SPI_* codes in IOCTL_HAL_GET_DEVICE_INFO. If your user mode application or driver now calls one of the IOCTLs listed in OALIOCTL, the call will be forwarded to the OAL code, for all other IOCTLs the call will be rejected. But remember this is only true for user mode processes and not for kernel mode driver. Now why am I telling you this you might ask? Well you can clone the OALIOCT component to your Platform and add any Kernel IOCTL to the switch case statement that you would like to allow from user space. Therefore you just need to make sure that the component compiles as oalioctl.dll in your Platform. No .bib or .reg entries are necessary. I want to give you my impressions from the "Running on the metal with .NET Micro Framework" Session with John Leier today. John gave the broad overview about the .NET Micro Framework 3.0, which allows developers to quickly create smart connected embedded devices using Visual Studio 2008 and C#, without the added complexity of an underlying operating system. John talked about the market possibilities, architecture, hardware requirements and last but not least the new features in the version 3.0. In my opinion, .NET Microframework gives us many new chances, where very small solutions are required. "Dare to Dream Different Contest"
Agile presentation about "Agile Software developement with SCRUM"
Damian is presenting the experience about usage of SCRUM and agile best practises in embedded software projects. First of all what is a hybrid image anyway? A hybrid image is a release image where certain components are compiled as debug. It can be very helpful while debugging. For instance you are developing a device driver right now so you only need the debug version of the device driver you are working on right now; the rest of the image can be release for better performance and a better simulation of how your device will behave in the real world. But how do I get a hybrid image, you might ask? Do I simply copy the debug version from the debug directory to the release directory and make a run-time image afterwards? Well that would be one method but not a very sophisticated one! What about set WINCEDEBUG=debug in the command line window? Well that would build your component in the debug directory and hence you still would copy it over manually to your release directory. 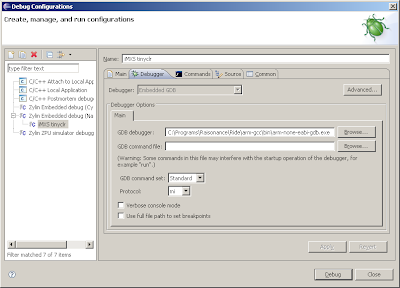 What about setting DISABLE_OPTIMIZER=1 in the SOURCES file or from the command line window? This would only disable the optimizer but still not compile debug macros. set COMPILE_DEBUG=1 from within the command line would do the trick. But unfortunately this command does not work from within the SOURCES file. Now for the ultimate solution that you can specify in the SOURCES file: CDEFINES=$(CDEFINES) –DDEBUG /Od this disables the optimizer and compiles the debug macros. To include the just build component in your image, a make run-time image is necessary after each of the just mentioned solution and if you build form within the command line, make sure you have set WINCEREL=1 to automatically execute the buildrel step after build. The reason is: the exhibition opens at 10:00am. Then we expect as many developers as on the previous days. It was quite interesting and very agile. Great!!!! After a short introduction to the basics of Scrum like: the Scrum Master, team, product owner, burn down and of course the daily Scrum, Stephen Forte discussed with us about our experiences with SCRUM. It was amazing to see, how many pepole are using or want to use SCRUM in their software project. For me as a certified Scrum Master was this very satisfying, that SCRUM is becoming more and more popular. 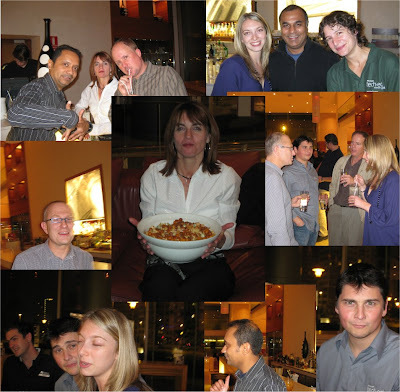 If you want to hear more about SCRUM and you're in Barcelona on Wednesday ? Then, visit Damian's presentatoin in theatre 2. For those of you out there who did not manage to get time off and come to Barcelona - here are 10 Reasons to build your own Windows Embedded Standard device - a Breakout Session held by eMVP and Excellence Award winner Alexander Wechsler, today. So, let's have a look at Alexander's reasons for building devices with WES. Fast Image generation is not only essential to ensure fast time to market but also helps you to cut down on your coffee intake. The toolchain offered by Microsoft, with Target Analyzer, Component Designer and Target Designer helps you to easily find the right components required for your Image and ensures that all dependencies are built into the image. If it runs on on XP Pro SP3 it will run on Windows Embedded Standard ... that is if the right components are in the image. OK, let's be precise: The current version of WES contains 11892 components! But, don't worry lots of these are drivers which means you only have to know around 3000 components when adding functionality. This is of course a prerequisite for embedded devices. 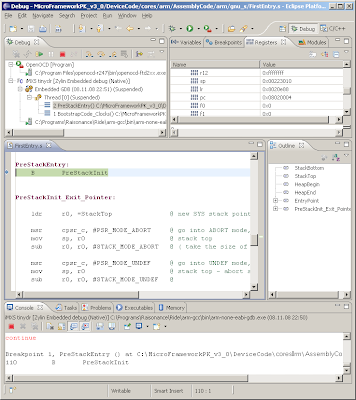 Do we want moving parts in an embedded system? Of course not! WES supports booting from flash disk, USB stick, compact flash, CD & DVD etc. is using HORM - Hibernate Once Resume Many. This way you can achieve boot times under 10 seconds. However this does depend on your hardware and specific image. Device Security, i.e. Firewall, Anti-virus protection, File System Encryption etc. Alexander showed us a demo here on how to use an RFID chip to automatically Log-in and out of the system. When you walk away from the system it automatically logs you out and when you come back it logs you back in again - great! This is something I guess alot of people could do with especially if their group policy automatically logs them out. 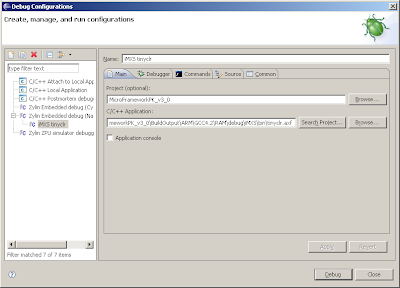 OSD is a new feature in WES which includes the sysprep utility and makes deployment of images a piece of cake. So, enjoy building your Windows Embedded Standard images! yesterday I attended a very interesting session by Stephanie Saad about the agile software development with Visual Studio. It was a great session about agile planning, continuous integration and improvement, connecting with customers and a bunge of other agile practices enabled through the VS tools. One of (especially for me) the very cool features was the the integration of the SCRUM process methods and practises into the microsoft tools. My highlight is "Task board for VS Team System" by Conchango. 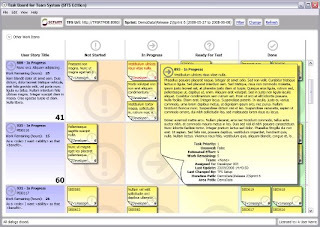 It allows managing of the SCRUM backlog items / tasks by Drag'n'Drop! here we are in Barcelona all set up and ready to go! Here's a picture of the Windows Embedded Zone where you can find us ... that is if we're not currently visiting one of the many sessions. 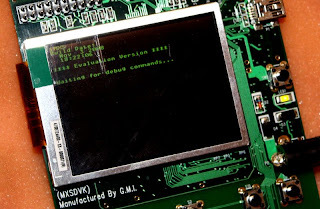 In my last post we were using GCC to build the .NET Micro Framework firmware for the i.MXS reference board. Now we go one step further and will debug the firmware using GDB. 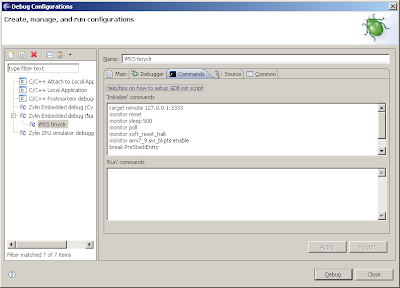 Open a command window, invoke setenv_gcc.cmd and run Eclipse from this initialized build environment. Add a new configuration e.g. "iMXS Debug RAM"
...and hit the debug button! Now it takes some seconds to transfer our debug firmware into the RAM of the i.MXS board. Which sources.cmn file will be taken into account? So you created a sources.cmn file but somehow it is not used when compiling your component and you can’t figure out why? This is because the compiler only considers ONE sources.cmn file, but which one will it be? Well, it will be the one closest up the tree from where your component is. Just over 3 more days before TechEd 2008 opens its doors for developers in Barcelona and I would like to invite attendees to come and hear me talk in the Embedded Theatre on Wednesday @ 10:20. I will be giving a 20min presentation on Agile Development and I'm looking forward to seeing you there. and Handheld Solutions - @ 1:00-2:00 PM PST. Dion Hutchings, Microsoft - Technical Product Manager, will tell all you will need to know in order to build your next Handheld device. Sylvain Ekel, Microsoft Systems Engineer, will take you through the key features of the Windows Embedded Technologies which are suitable for kiosk solutions. To register for this 60 min webinar click here - and win a Digital Picture Frame. Attend this 60 min webinar and learn about the key differences between Windows XP Professional and Windows XP Professional for Embedded Systems including an overview on the product's technical features, and it's availability through the OEM Embedded Devices (OED) channel until 2016. To register click here - and win a Digital Picture Frame. Wouldn't it be super cool if the Silverlight apps you built for the desktop could run on Millions of Mobile Devices? 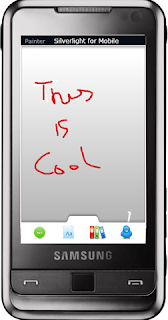 If you have been building Silverlight applications and are wondering how to extend them to mobile devices, then I have a hint for you. Silverlight 2 for mobile has been announced at PDC and the webcast video is already available. Cool! This webacast video is filled with some very cool demo, e.g. the "painter". You will not only learn how to extend your existing Silverlight 2 applications to work on Windows Mobile but also learn how to build rich mobile Silverlight apps that play media, handle simple gestures, have cool animations, and web services. Currently I'm working on a platform without Ethernet or USB client and therefore I depend on JTAG debugging support for this SH4 based board (Renesas SH7760). Debugging was quite annoying during the first debug sessions: The debugger always lost the connection after a while. The reason for that is quite evident: The CPU enters the sleep mode in OEMIdle() as long as there are no busy tasks. But if the CPU "sleeps" the JTAG communication gets broken. So, the only thing that I have to assure is that the CPU does not enter sleep mode. and create a catalog feature which sets the environment variable DISABLE_OEMIDLE_SLEEP. Do not forget to rebuild oallib if you set or clear your new feature. 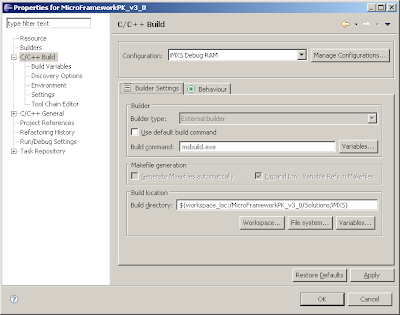 .NET Micro Framework Porting Kit V3.0 with GCC Support? Just a joke or what? The release notes of the recently released .NET Micro Framework Porting Kit V3.0 highlight the support for building the .NET MF firmware with GCC tools. It's hard to believe - so let's try it! Even the output of the deployment tool tells us V3.0. Now we could use Visual Studio to develop and deploy our real application with all the features of the new SDK.